The Custer State Park Wildlife Loop Road is an 18-mile semi-circle route from the State Game Lodge to the Blue Bell Lodge. The paved road meanders through the grasslands of the prairie and into the hills sprinkled with Ponderosa pine. Buffalo grazing along a spur road off the Custer State Park Wildlife Loop Road brings traffic to a stop. Allow at least 45 minutes to drive the Custer State Park Wildlife Loop Road. Late evening, just before sunset, or early morning are the best times for viewing wildlife. Bison, or more commonly called buffalo, and prairie dogs can usually be seen throughout the day. Elk, antelope, coyote and deer are not as likely to be out during the heat of a summer day. 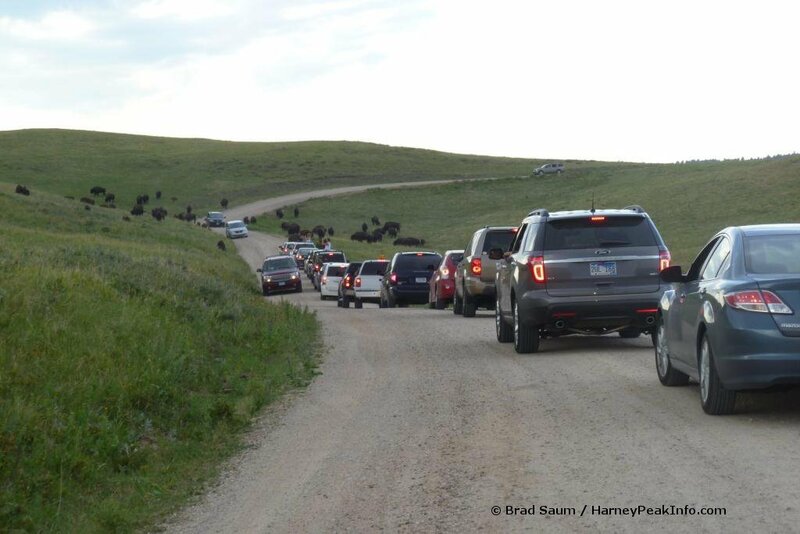 The Custer State Park Wildlife Station Visitor Center is located along the Custer State Park Wildlife Loop Road and has a map identifying where buffalo herds were spotted during the day. The Wildlife Loop Road has a network of well-maintained and easily traveled roads that lead off from the main paved Wildlife Loop Road. These roads provide access to more remote areas and are accessible by car. The wildlife is free roaming and it is not very likely that every type of wildlife will be seen on every drive on the Custer State Park Wildlife Loop. Opportunities may present at different times of the day and during different weather conditions to see the wide variety of wildlife that inhabit Custer State Park.